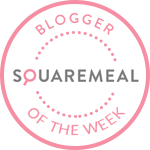 Emily's Recipes and Reviews | UK Food Blog | Leicestershire : berlin: my little foodie city guide. For the weekend, I stayed in my first airbnb. Found in the quirky area of Kreuzberg, this fantastic one bedroom apartment was just £43 a night - I think I'm finally an airbnb convert! This flat in particular was just a short walk from the Südstern and Schönleinstraße stations, which were conveniently found along the U8 and U7 UBahn lines. You can't go far wrong with UBahn or bus access though, they were incredibly regular and day tickets were € 7,60 for zones ABC. Just make sure you validate the ticket with a stamp on a nearby machine. As you can see it had a charming vibe you just don't quite get in a hotel room. I had kitchen envy all weekend too! Vegans and non vegans alike will love this beautifully decorated Chinese bakery. 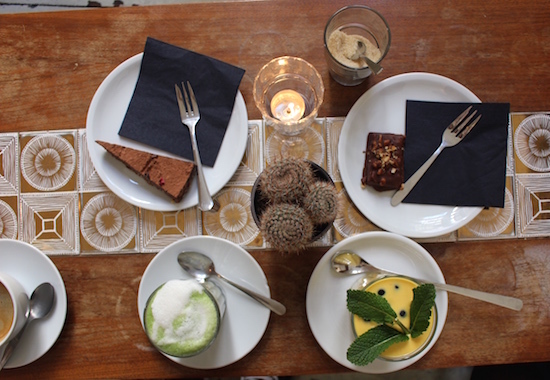 Here's you'll find lots of raw cakes and healthy (ish) drinks. Think tea, matcha green lattes and juices, with soy milk and dairy free options aplenty. Found a stone's throw from Yorckstraße, this pizza place has a really friendly vibe and delicious pizzas to boot. Veggie friends will be pleased to know there are lots of vegan cheese varieties and toppings to be had too. For droolworthy steaks and burgers, The Bird is the one. I just went for a classic cheese (11,00€) on 100% premium beef, which comes very rare. In addition I enjoyed their free guacamole along size those gloriously golden chips. We soon found out that Facebook event calendars were our friend in Berlin. Not something I'd think to use here in England, but actually there were so many secret little events going on. During our time, Amelia has discovered a whiskey night in an old cinema, a Turkish live band and a foodie festival serving up street food from around the world. On our first day we popped to Seerose, by Südstern station. For a plate this generous you're talking just a few Euros too. You simply mix and match their warm dishes such as lasagne and gnocchi along with salad and pulse options. Highly recommend! Definitely make sure you head over to the East Side Gallery on a Berlin trip. I hopped on the U1 to Warschauer Straße; right beside a large part of the Berlin wall. We pottered around the markets, a couple of bars and then onto a classic Photoautomatic picture, of course. Those rare moments when a veggie burger is done well. This is one of those. With so many burgers and crepes to choose from (named after famous vegans) this place is a must. You'll find this little place a short walk from Karl-Marx-Straße, along the U7. A lovely little place near Viktoriapark. We had to hop off the U7 at Yorckstraße to get the U1 up to Brandenburger Tor to see the Brandenburg Gate. It's a great place to have on your list should you ever need a pitstop in the afternoon, between the Kreuzberg area and tourist spots. Just to tick off a few touristy bits, I spent an afternoon at Museum Island. For 18,00 € you can buy a day museum pass; with the Pergamon Museum, the Neues and the Altes housing ancient art and treasures that date back to the likes of Roman and Greek eras. Then I stopped for a pistachio macaron nearby, naturally. The queue was huge for the TV tower, but I'd love to go back when I have more time. Other places I ticked off the list included Curry 36 for a currywurst and the beautiful Mauerpark. Both I would definitely recommend! Have you ever been to Berlin? What were you foodie or travel highlights?